A Studio Unlike Any Other. 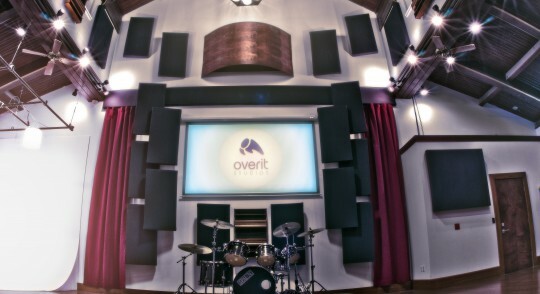 Built with no limitations and housed in a pristine rehabbed church, Overit Studios provides full studio production capabilities for all aspects of audio, video and digital services. Here is a quick look at what we do and where we do it. Watch this one minute video and then contact us to learn how you can bring your next project to Overit Studios. Sessions at Overit is a web series created to showcase international recording artists of all genres. We bring you a fly on the wall perspective of a live recording session captured on pristine HD video. Check out all the episodes! Overit Studios offers a healthy mix of vintage and modern equipment giving warmth, character, reliability and flexibility. Overit Studios handles an array of audio and video production needs. If you can see or hear it, we can create it.